Home > Old World Christmas - Traditional Glass Christmas Ornaments > Old World Christmas Glass Ornament - "Crayon"
Crayons are colored wax sticks used by talented professional artists and children alike. The crayon is easy to work with and less messy than paint and markers, making it a great tool for kids. 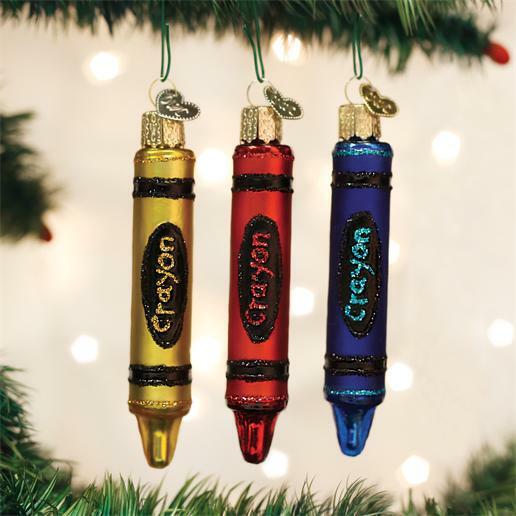 Cherish memories of making priceless works of art with kids with this special ornament.